The notion of the end of bitcoin mining is one that often confuses people. On one hand, bitcoin or BTC tokens are unique digital products that cannot be copied or reproduced. The only way to get one is to either buy an existing token or mine one, which means get it from computers that are running the network. Here, BTC tokens are a reward for mining a so-called block. But, the reason why BTC tokens are valuable is that they are finite, just like the blocks. This means that while they are digital in nature, the core setup of the bitcoin network defined a final number of these tokens. Otherwise, they could be produced indefinitely and thus have no value whatsoever. Yet, because they are finite, they have an intrinsic value. However, how many bitcoins are left? What happens after they’re gone? In other words, what occurs when the last bitcoin token is mined and put into circulation? Here are the most important facts about these dilemmas and a showcase of the future of the bitcoin network. In April 2018, the blockchain network of bitcoin reached a big milestone – the 17 millionth token was mined. At that point, the same token block meant that there are only four million tokens remaining. When the bitcoin blockchain network was conceived, a BTC cap was set at 21 million. In 2018, the bitcoin network was nine years old, so some would think that the 21 millionth token would be mined somewhere in the mid-2020s. After all, so far over 80 percent of BTC tokens have been mined. However, the setup of the network and its blockchain protocols also make mining more difficult as more mining operations join the network. At the same time, the reward for mining a single block also gets cut in half every 210,000 blocks. Currently, miners get 12.5 BTC for every new unlocked block. Yet, the next halving event – the moment when the reward is cut in half – will occur in 2020. At that point, the reward for a new block will go down to 6.25 BTC. The same thing will happen again after the next 210,000 blocks are mined and so forth. Using this progression and assuming a linear introduction of new bitcoin mining operations, the bitcoin network cap should be reached somewhere in the middle of the 22nd century. End of BTC Mining – What happens after they’re gone? Right now, miners still have plenty of incentive to keep their operation running and get bitcoin tokens in return. Naturally, they have more incentive when a single bitcoin costs $10,000 than when it costs $4,000. But, the operations like those of bitcoin miners are long-term oriented. All of them count that the price will once more swing upwards. This means that even when the bear market is taking place, there is no mass exodus of miners, especially from big mining companies. 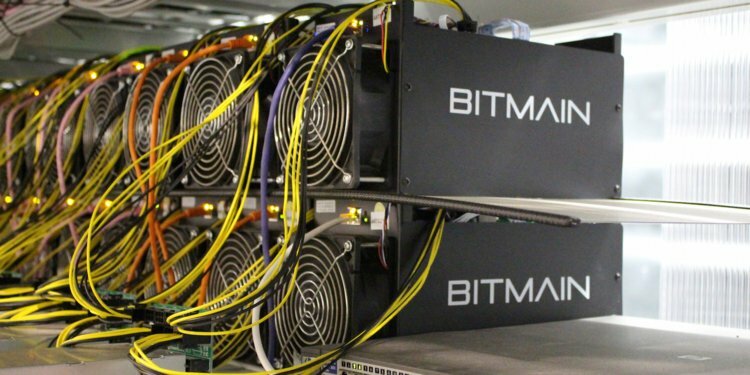 While smaller operations might switch to mining other cryptocurrencies or even stop working, the big mining entities know they need to keep going. This is why even when the markets are low in terms of BTC token price of market capitalization, the potential of the network hash rate (the mining capacity) keeps going up. Because of this, the miners will not go anywhere soon, even if the prices of BTC are low. In any case, they will keep getting their rewards. But, the day will come when there will be no more tokens to mine. For users, there will be no change whatsoever. At that point, miners will be getting no rewards, but they and their computer networks will still need to validate and then store transactions. For this, they will continue to be rewarded in the form of transaction fees. This is even defined in the white paper of the Bitcoin’s mysterious creator, Satoshi Nakamoto. The same process is the essential bedrock of the proof-of-work system. Currently, the system validates transactions and mines new blocks, but when the blocks are no more, its first mission will be as important as ever. In conclusion, there are four million bitcoin tokens left to be mined. When they are all gone in more than 120 years from now, the miners will continue to operate their mining nodes to validate and store transaction. In this setup, they will get a transaction fee that will continue to support their business model while bitcoin continues to be used as a digital currency.